Get your air conditioner supplied and installed within a matter of days! That’s right, you & your family can be cool and comfortable all summer long! Get a quote today and have your air conditioner installed tomorrow! Split system air conditioners are ideal for when you only need a few areas throughout your home cooled or heated. We offer a full range of premium brands in split system air conditioners so we can offer our customers a one-stop solution for all of your home air conditioning needs. As one of Australia’s most trusted names in air conditioning, Daikin can be found in homes, businesses, and community projects across Australia. Daikin have been heating and cooling Australian homes for over 45 years, so they’re used to dealing with the extremes of the harsh Australian climate. Daikin understand being comfortable is what makes any environment feel like ‘home’, and as specialists, Daikin take pride in designing products that provide clean, efficient, and superior comfort in the places we live, work and play. Giving you The Best Air Anywhere. ActronAir is a proud Australian company recognised for making world-class air conditioners. The sleek and stylish Serene gives you enormous flexibility at home, keeping you warm and cosy in winter, and cool and fresh through summer. Serene’s perfect for apartments, living areas and single rooms. With its reliability, high performance DC inverter technology and superior operating range, take comfort all year round with Serene. Hot Australian summers call for air conditioners that can cool an entire room quickly and then maintain a steady and comfortable temperature. Panasonic’s new range of air conditioners can achieve this better than ever, thanks to iAUTO-X technology and Aerowings blades. Mitsubishi Electric air conditioners are world-leaders in reliability, quietness and energy efficiency, and have proven performance in the tough Australian environment. Mitsubishi Electric provides a versatile, yet affordable air conditioning solution. Quick to install and also one of the quietest air conditioning units on the market (as low as 19dBA*), the newly designed, attractive air conditioning range offers the perfect way to ensure a comfortable environment with minimum disruption. 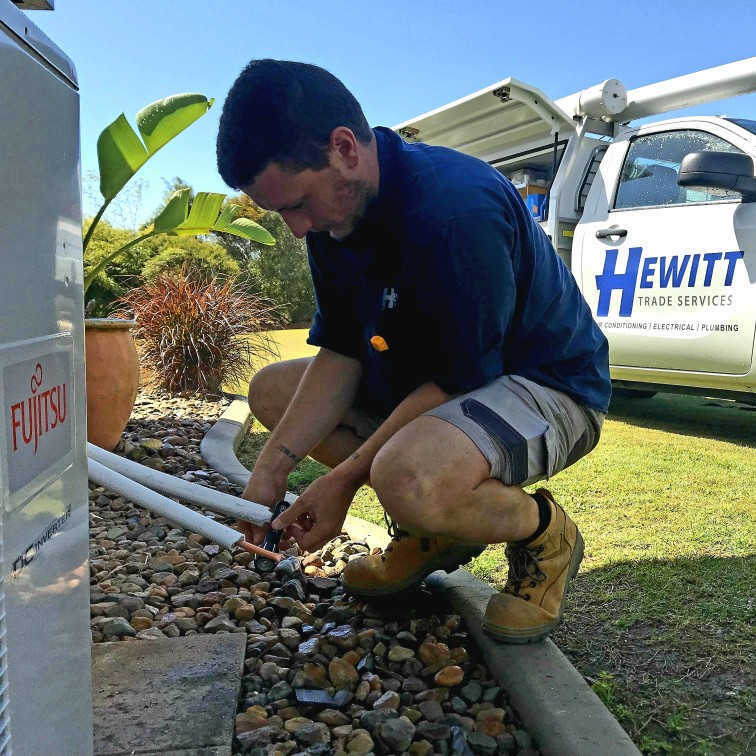 Fujitsu General Australia strives to consistently provide high quality, energy efficient, reliable products accompanied by superior customer service. To be ‘Australia’s Favourite Air’ means to be the best air conditioning company to deal with in Australia, not just a leading air conditioning brand. Whether you need a solution for a small bedroom, or large living space, Fujitsu’s combination of technology, insight and design will provide the most effective and efficient air conditioning solution for you. 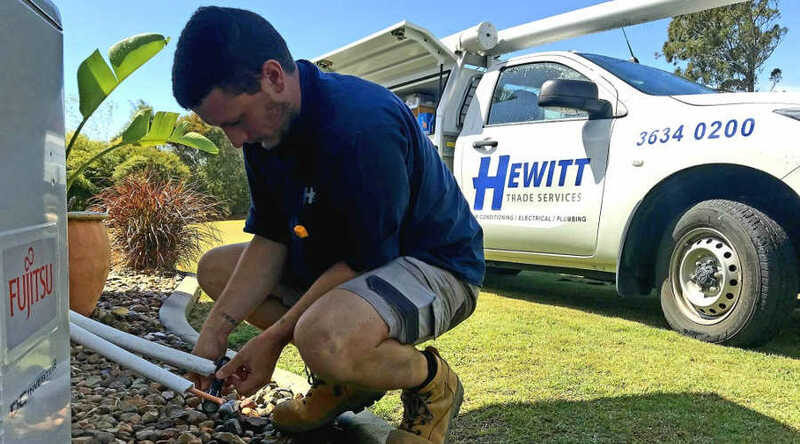 We have been helping Brisbane families with air conditioning since 2002. We have decades of industry knowledge and take great pride in providing superior service and workmanship 100% of the time. We also offer a 5-year installation warranty so you can have peace of mind that your air conditioner has been installed to the highest quality standard. We offer free on site quotes and advice to all of our customers. This is to ensure that we can tailor a home air conditioning solution that’s the right fit for you. We are fully accredited warranty service agents for Daikin, ActronAir & Fujitsu. This means that if you have any issues with your air conditioner during the 5-year manufacturing warranty period, we can have one of our experienced refrigeration mechanics fix it for you. This can save you hours on the phone to the manufacturer and avoid having unknown repairers coming to your home. We have a working showroom open to the public so our customers can see exactly what they’re buying before they buy it. We understand not everyone has the time to get down to see our showroom, so we even have a virtual tour available. We come to you! No need to go and collect an air conditioner from somewhere, we can supply everything required for your job and bring it with us on the day. We will also come to you for any quote or advice that you require. What is a Standard Install?